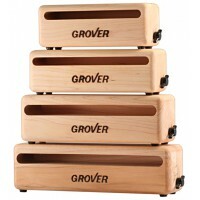 Wood BlocksGrover Pro wood blocks are meticulously crafted using the finest quality New England rock maple. Our blocks are full and naturally "woody" sounding. They have the ability to speak with a whisper or a loud cutting "bark".